May 17, 1870: The newly ordained convert priest Fr. Nicholas Bjerring celebrated his first Divine Liturgy in St. Petersburg, Russia. He didn’t know Church Slavonic, so he served in German. May 19, 1884: Archimandrite Stephen Hatherly, a convert priest from England, arrived in Philadelphia. I wrote about Hatherly’s visit almost three years ago. The basic story is this: In 1883, the Russian government closed its chapel, and the priest, Bjerring, became a Presbyterian. Hatherly, a priest under the Ecumenical Patriarchate, heard about these events and asked for permission to make a go at his own New York mission. After getting the all-clear from Russia, he sailed for America in 1884, arriving in Philadelphia on May 19 — this week. But, as I explain in the article, the mission was a failure; the few Orthodox people in New York had little interest in attending a church. Hatherly returned to England disappointed. One thing I’ve been meaning to do, but haven’t yet, is tell Hatherly’s own story, because it’s phenomenally interesting. He was an exact contemporary of the somewhat better known English convert J.J. Overbeck, an author and editor of the Orthodox Catholic Review. Overbeck wanted to establish a “Western Orthodox Church,” including union with the Church of England, and today he’s regarded as a sort of progenitor of the Western Rite. Hatherly, on the other hand, viewed a full-blown union between Orthodoxy and Anglicanism as unrealistic. Instead, he preferred simply to convert Anglicans to (standard Byzantine Rite) Orthodoxy — something that raised the ire of the Anglican hierarchy, who in turn induced Constantinople to forbid Hatherly from evangelizing his countrymen. On top of all this, Hatherly was an accomplished church musician. As I said, writing an article about his life is on my to-do list. May 19, 1905: Bishop Tikhon Bellavin, head of the Russian Mission in North America, was elevated to Archbishop by the Holy Synod of Russia. May 17, 1922: Ecumenical Patriarch Meletios Metaxakis issued a tomos, formally establishing the Greek Orthodox Archdiocese of North and South America as a jurisdiction under the Ecumenical Patriarchate. As Archbishop of Athens, the controversial Meletios had been in America from 1918-1921, during which time he organized the Greek Archdiocese and convened its first Clergy-Laity Congress. While in America, Meletios was deposed by the Holy Synod of Greece, but soon after this, he was elected Patriarch of Constantinople. This 1922 tomos thus transferred the GOA from Meletios’ old see (Athens) to his new one (Constantinople). How could he get away with such unilateral action? Well, back in 1908, the Ecumenical Patriarchate had “transferred” the Greek churches in the “diaspora” (particularly America) from itself to Athens. Which is sort of misleading, because a lot of the Greek churches in America were already under Athens, so the transfer affected only that portion of the Greeks who had been under Constantinople. Anyway, Athens didn’t really do much with America over the next decade, until Meletios, as Archbishop of Athens, came along in 1918. In issuing this 1922 tomos, Meletios was revoking the earlier 1908 transfer. And the GOA has been under Constantinople ever since. 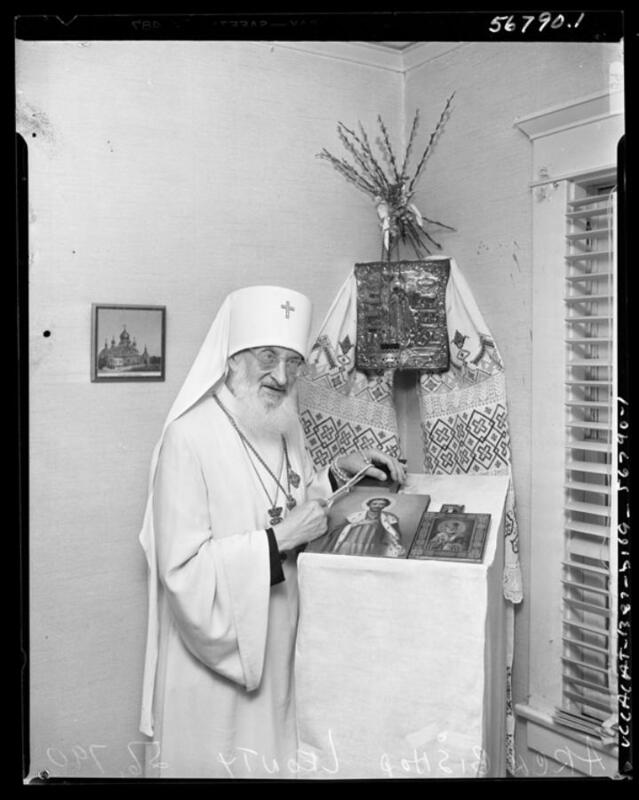 May 14, 1957: Archbishop Jeronim Chernov of Eastern Canada (Russian Metropolia) died. May 14, 1965: Metropolitan Leonty Turkevich, primate of the Russian Metropolia, died. Leonty is one of those giants of American Orthodox history, on par with Tikhon, Iakovos, and Bashir. Many think he’s a saint, and I strongly suspect that they’re right. One of the amazing things about Leonty is that he lived through so much. Originally known as Fr. Leonid, he was a key figure in the Russian Mission dating to the episcopate of St. Tikhon. He ran the seminary, succeeded St. Alexander Hotovitzky as dean of the main cathedral, and generally was the most important priest in the Archdiocese prior to the Russian Revolution. Then, in 1917, he participated in the monumental All-Russian Sobor — one of the pivotal church councils in Russian history. He made it out of revolutionary Russia and back to the US, where he was, again, probably the key priest in the Russian Metropolia, which rose from the ashes of the Russian Mission. After being widowed, he was almost consecrated a bishop for Aftimios Ofiesh’s American Orthodox Catholic Church experiment, and he ended up becoming the Metropolia’s Bishop of Chicago. 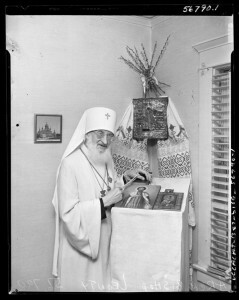 When the Metropolia’s primate, Metropolitan Theophilus Pashkovsky, died in 1952, Leonty was elected to be his successor. 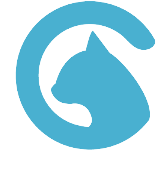 Anyway, all that is ridiculously cursory, and I can only fit so much into this article. But Aram Sarkisian, who knows far more about Leonty than I do, will be running a full-length piece here very soon. May 18, 1970: The Patriarchate of Moscow formally granted autocephaly to the Russian Metropolia in America, which changed its name to the “Orthodox Church in America.” This event reverberated throughout the Orthodox world, and it remains controversial to this day. While everyone recognizes the OCA as fully canonical, only a minority of the world’s Orthodox Churches acknowledge the OCA as an autocephalous Local Church. May 14, 1972: Tragedy struck at ROCOR’s Holy Trinity Seminary in Jordanville, NY, where one seminarian stabbed another to death. Both men had been studying for the priesthood. May 15, 1979: Bishop Dionisije Milivojevich, the Serbian Orthodox bishop whose battle with his mother church went all the way to the U.S. Supreme Court, died in Illinois. May 18, 1985: Fr. John Karastamatis, a Greek priest in Santa Cruz, CA, was brutally murdered. Some of his admirers immediately declared him to have been martyred for the faith, and to this day, you’ll run into lists of saints that include “Hieromartyr John of Santa Cruz.” But the subsequent police investigation revealed that he was killed by the husband of the parish secretary, and at trial, witness testimony made it clear that Karastamatis was not someone who should be venerated as a saint. I don’t want to get into the gory details, mainly because this didn’t happen all that long ago and Karastamatis’ family is still around, but suffice it to say that while his murder was a great tragedy, the calls for his canonization were terribly misplaced. May 18, 2000: Archbishop Sylvester Haruns of Montreal (OCA) died. May 14, 2006: Conclusion of the ROCOR All-Diaspora Council, which approved reconciliation between ROCOR and the Moscow Patriarchate. May 17, 2007: In Moscow, ROCOR signed the Act of Canonical Communion, re-establishing full communion with the Moscow Patriarchate. May 18, 2008: Another big ROCOR moment — Metropolitan Hilarion Kapral was enthroned as First Hierarch of ROCOR. May 19, 1905: Bishop Tikhon Bellavin, head of the Russian Mission in North America, was elevated to Archbishop, by the Holy Synod of Russia! Not by the Holy Synod of Russia, but under the supreme order of Nicholas II.